That government transforms the way we occupy and inhabit space is nowhere more geodetically relevant than in the United States capitol of Washington DC, where limits have reached capacity in both physical space and organizational structure. Never before has the government owned more enclosed space within the U.S. than in the present. Following September 11th, the increase in subsidiary agencies has led to an explosive acquisition of government land. This growth has led to exponential sprawl reaching outward into the neighboring states in search for suitable living spaces. The National Mall is one of the largest open spaces still in existence within Washington DC. Since its inception by Pierre L’Enfant in 1791, a continual source of speculative design projects has aimed at creating a picturesque foreground for the federal edifices that surround it. 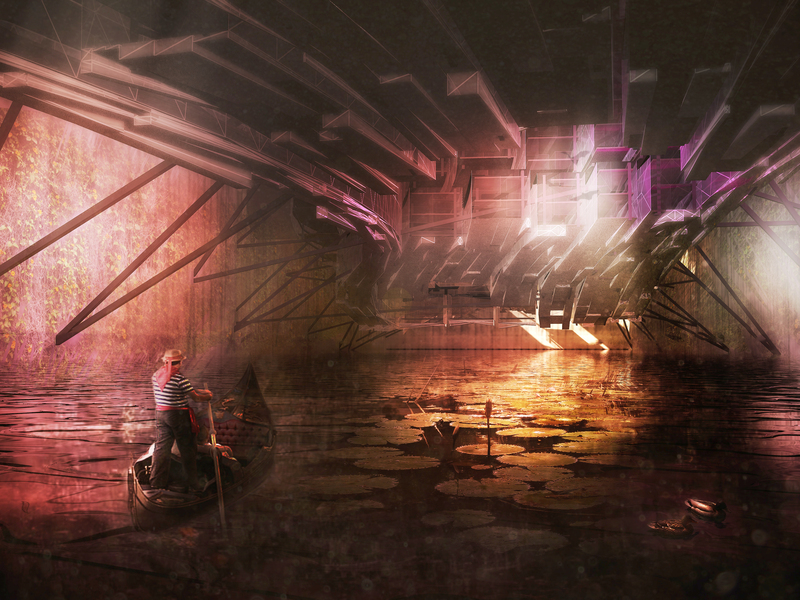 Our design is opposed to these grand edifices which break apart the fine meshwork needed for a city to thrive. 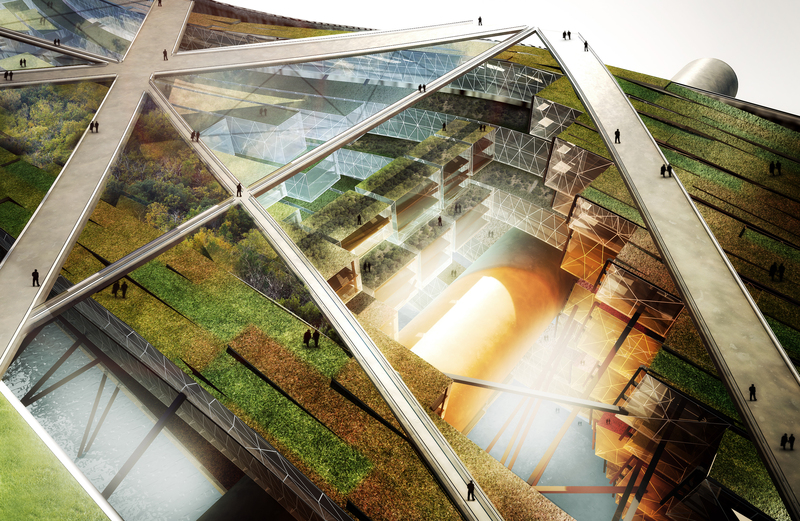 The solution to these mega structures is not a building reaching ever-higher into the atmosphere. This would pull apart the connections we have with the ground and further disconnect the government from the city. 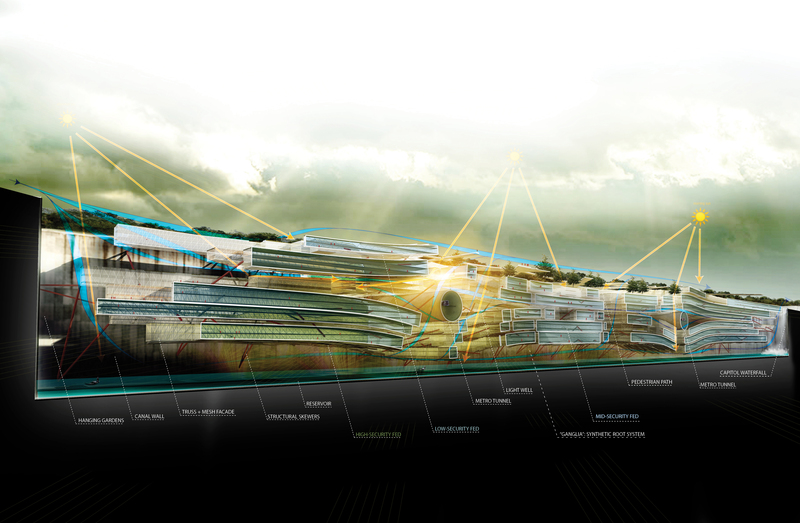 Rather, our proposal intends to dig into the earth, burying the program beneath whilst activating the ground plane. In this canyon, walls become the physical limits of unrivaled growth. DC is given back in large swaths of land to the people, where previous federal land within is returned to the citizens of the city to re-inhabit. It is thus our intention, in reaction to the vertical limits imposed on the district, that the canyon becomes a central location for federal government offices, imposing limits on the size of the physical federal growth rates. This new juxtaposition of governmental program located beneath the ground plane creates a unique opportunity of oversight from the people above to the federal program within. As if sedentary rock formations were revealed by the cutting away of ground at the National Mall, striated monolithic masses of federal programs are stretched within the void. 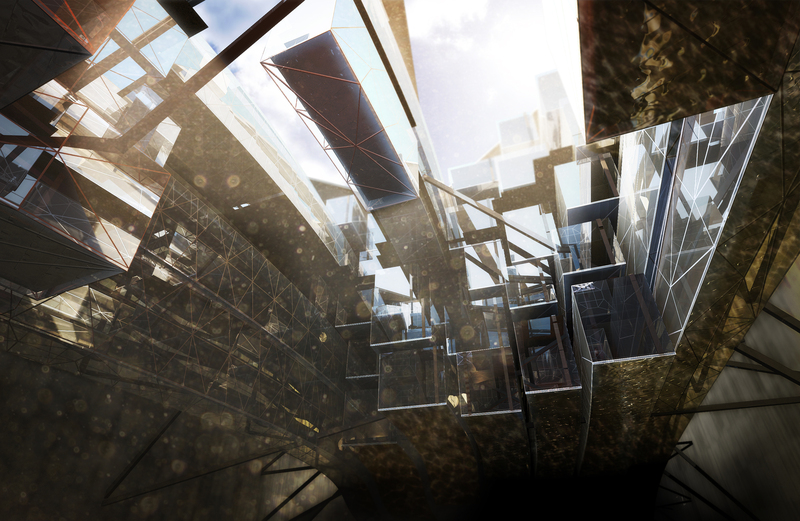 As the masses are stretched within the canyon, transparent voids are opened around the below-grade infrastructure intersecting the site, acting simultaneously as both light-well and visibly transparent surfaces. Likened to the layering of matter, federal program either settles to the bottom or rises to the top. 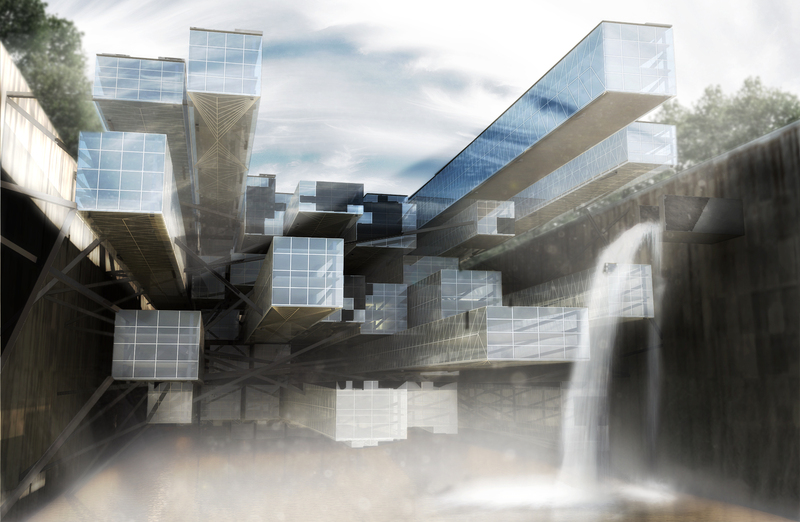 Utilizing the tensile structural capacity of steel, skewers in conversation with the programmatic arrangement float the buildings mass within the canyon. 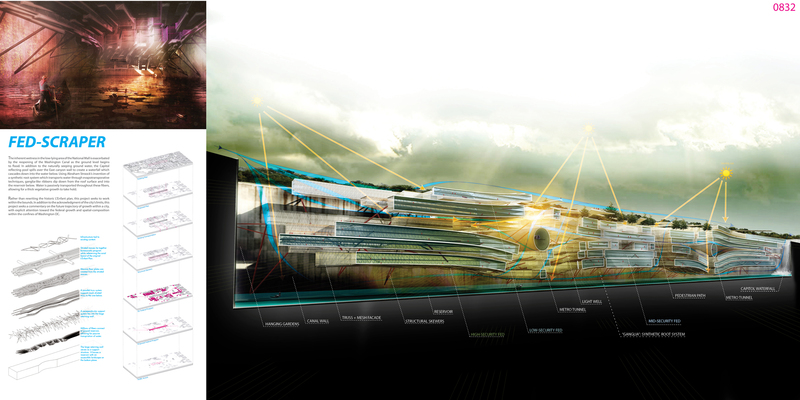 As the mass hovers above the canyon floor, an additional layer of outdoor experience is created. Accessible from the mall above, garden-like terraces wind down the canyon wall creating multiple layers of habitable space along the vertical surfaces. The inherent wetness in the low-lying area of the National Mall is exacerbated by the reopening of the Washington Canal as the ground level begins to flood. In addition to the naturally seeping ground water, the Capitol reflecting pool spills over the East canyon wall to create a waterfall which cascades down into the water below. Using Abraham Stroock’s invention of a synthetic root system which transports water through evapotransporative techniques, ganglia-like ribbons dip down from the roof surface and into the reservoir below. Water is passively transported throughout these fibers, allowing for a thick vegetative growth to take hold. Rather than rewriting the historic L’Enfant plan, this project seeks to work within the bounds. 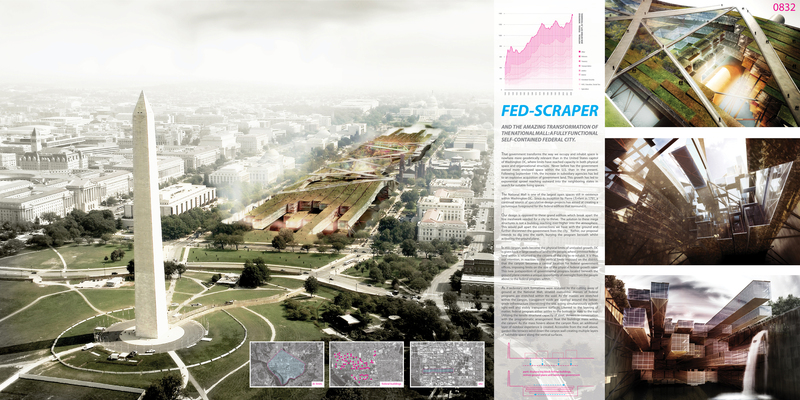 In addition to the acknowledgment of the city’s limits, this project seeks a commentary on the future trajectory of growth within a city, with explicit attention toward the federal growth and spatial-composition within the confines of Washington DC. would u guys like us to publish some of ur work on http://www.3d-dreaming.com? That sound you hear is Pierre spinning in his grave. I just couldn’t go away your web site prior to suggesting that I really enjoyed the usual information a person supply for your visitors?